FORMER managing director of Zimbabwe Power Company (ZPC) Noah Gwariro yesterday testified against former Energy and Power Development Minister Samuel Undenge in connection with a case in which Intratrek Zimbabwe was corruptly awarded the Gwanda solar power plant tender by Zimbabwe Power Company (ZPC). Prosecuting, Mr Zivanai Macharaga from the President's Special Anti-Corruption Unit argued that Intratrek was awarded the said tender at the instigation of Undenge resulting in ZPC losing over $5 million, charges which Undenge denies. Gwariro, who signed the contract yesterday appeared in court as a witness claiming that Undenge was the one who gave him the directive to pay Intratek for the pre-commencement of the project even though he knew that Intratek had not provided a bank guarantee. "I notified the accused that the contractor (Intratek) had not provided the bank guarantee which is to safeguard the company in case the contractor fails to deliver. He was also aware that the contractor wanted to be paid for the pre-commencement work before starting the project." "He said he would get back to me after consulting his principal in the Cabinet, and after a few days he came back to me through a phone call saying I should proceed to make the payment so the project could proceed. I only acted on his directive." Mr Muchadehama responded saying that Gwariro was framing Undenge because he does not want to be in the dock with him as he claims that Gwariro was a co-accused when the matter was brought in by the police. He also claims that Gwariro was suspended from his position by the ZPC board because he had made the payments to Intratek without their approval, so he should not implicate Undenge for the decisions he made alone. "It was you and you alone responsible for issuing the contract without the bank guarantee which is why you were suspended — the board blames you." "To begin with you were a co-accused in this matter. I am surprised that you are a witness. You do not want to be in the dock yourself, which is why you are framing the accused." Undenge appeared before Harare magistrate Mrs Barbara Chimboza who rolled over the case to today for continuation. 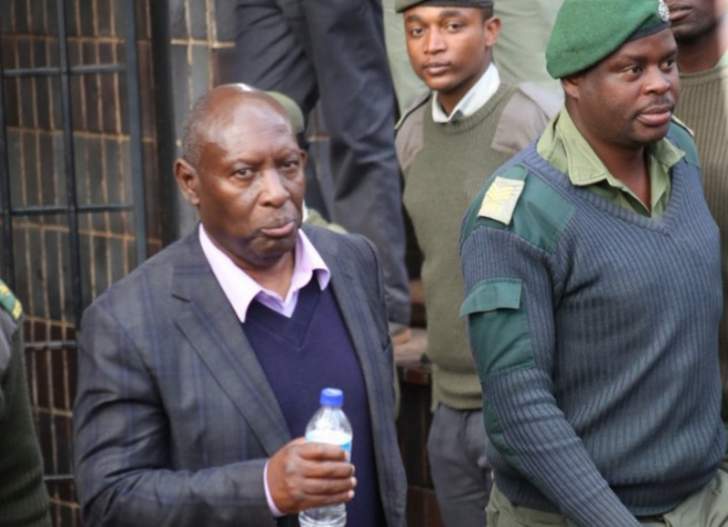 Undenge is currently on bail pending appeal on a separate charge in which he was jailed for prejudicing the same power company of $12 650 after handpicking a public relations company called Fruitful Communications owned by Psychology Maziwisa and former ZBC news anchor Oscar Pambuka to do work for ZPC. This was done without going to tender. He was sentenced to four years in prison, with one-and-a-half years suspended on condition he does not commit a similar crime. The latest charges arose after businessman Chivayo's company, Intratrek Zimbabwe, was corruptly awarded the Gwanda solar power plant tender. When Chivayo initially appeared in court, the prosecution told the court that Undenge should also be arrested in connection with the offence. It is alleged Chivayo failed to execute the project despite getting $5 607 814,24 from Government.